Daromir Rudnyckyj is an associate professor of anthropology at the University of Victoria, Canada. His research addresses globalization, religion, development, Islam, and the state in Southeast Asia, focusing on Indonesia and Malaysia. 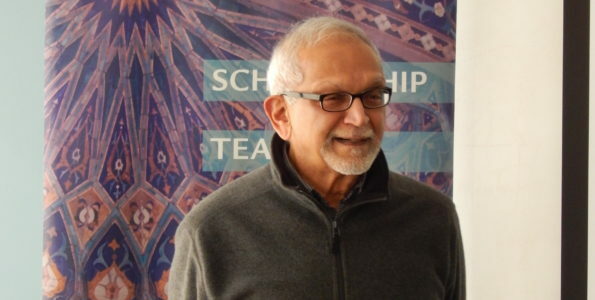 His current research examines the globalization of Islamic finance and analyzes efforts to make Kuala Lumpur a central node in a transnational Islamic financial system. 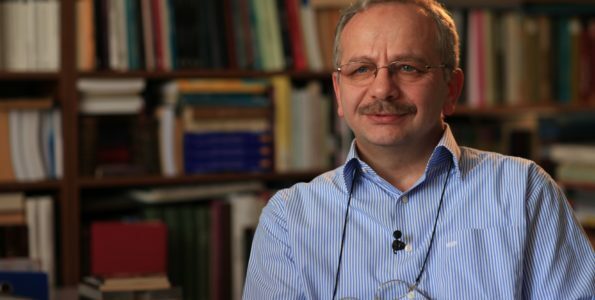 His books include Spiritual Economies: Islam, Globalization, and the Afterlife of Development (Cornell UP) and the edited volume Religion and the Morality of the Market (Cambridge UP, co-edited with Filippo Osella). 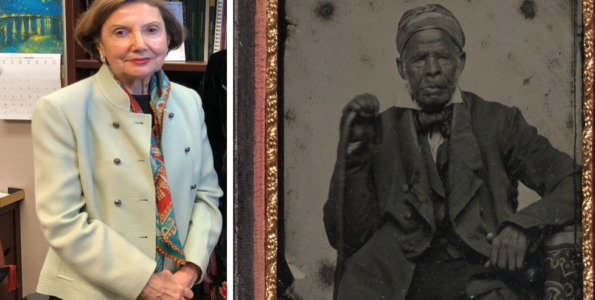 He was awarded a Sharon Stephens Prize from the American Ethnological Society in 2011. His research has been supported by the American Council for Learned Societies, the Social Sciences and Humanities Research Council of Canada (SSHRC), the Social Science Research Council, the Wenner-Gren Foundation for Anthropological Research, and other scholarly foundations. 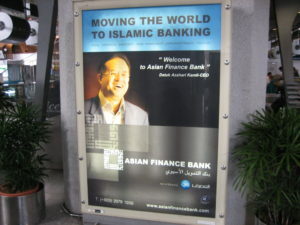 In the early 2010s on the streets of Kuala Lumpur the ubiquity of Islamic finance was hard to miss. Vividly colored advertisements enticed consumers with credit cards, Islamic mortgages, and insurance policies. 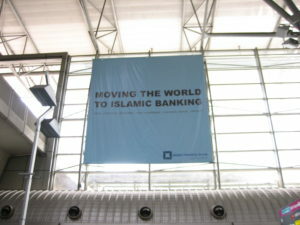 Inside the Malaysian capital’s hypermodern train station and on the streets outside, eye-catching advertisements for Al-Rajhi, a Saudi firm that bills itself as the world’s largest Islamic bank, encouraged potential customers to “Get There Fast” with “Al Rahji Personal Financing.” On the other side of the station the mainly Qatari-held Asian Finance Bank boldly proclaimed that it was “moving the world to Islamic banking.” ATMs owned by the more than twenty Islamic banks operating in the country spewed currency to eager consumers during peak shopping times. 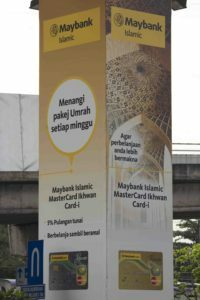 The Malaysian state, led by the country’s Central Bank, has sought to incubate a comprehensive Islamic financial system consisting not only of a network of banking institutions, but also of an Islamic money market, Islamic capital markets, and an Islamic insurance, or takaful, system. Wall Street or Halal Street? The country has also sought to become a key knowledge producer in this field and leading center for training Islamic finance experts by establishing two key institutions. The International Center for Education in Islamic Finance (INCEIF) is arguably the world’s foremost university dedicated exclusively to Islamic finance and offers postgraduate degrees to eager students from around the world. Its sister institution, the International Shari‘ah Research Academy (ISRA), is a leading global producer of applied shari‘a research to develop new knowledge in Islamic finance. Malaysia’s Islamic finance project is intended to keep the country competitive as it seeks a distinctive niche in an increasingly competitive transnational economy. 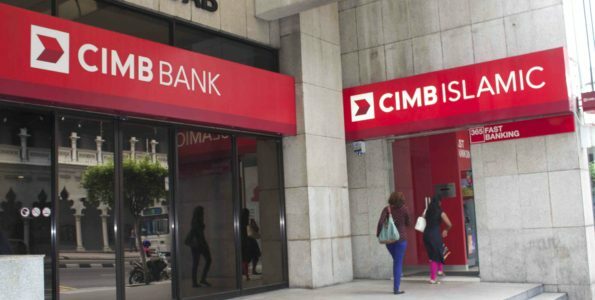 However, as Islamic finance has expanded rapidly in Malaysia and beyond, it has inspired heated and occasionally acrimonious debates over the extent to which Islamic finance conforms with religious prescriptions. Some critics and reformers argue that Islamic finance is Islamic only in form, but in substance simply mimics its conventional counterpart. A central point of contention is that Islamic finance has been satisfied with contracts that meet the formal requirements of Islam, rather than substantial ones, leading to the widespread use of instruments that meet the letter of Islamic law, but do not meet its spirit. The split between form and substance can be traced in part to two of the schools of Islamic jurisprudence (fiqh) that are widely invoked in Islamic finance and which have come to different conclusions regarding the permissibility of instruments developed by Islamic banks. The Shafi’i tradition, the predominant fiqh school in Southeast Asia, has typically emphasized form over content and avoided legal decisions that ascribe intent to actors, asserting that only Allah can discern individual intentions. In contrast, fuqaha from the Hanafi school, which is common in South Asia and parts of the Middle East and North Africa, generally emphasize content over form and hold that intentions can be deduced from actions. Thus, certain financial and banking instruments permitted by scholars in Southeast Asia have been explicitly prohibited by scholars in South Asia and the Middle East. One particularly controversial contract about which scholars have come to differing opinions is called a bai al inah, which entails a formal sale, but in practice sharply resembles an interest-bearing loan. These contracts have been the backbone of Malaysia’s Islamic finance industry, although recent criticisms have called their ubiquity into question. Bai al inah is a “cost-plus” contract in which a financial institution takes an asset that it owns, such as a computer, and then sells it to a customer at a mark-up on deferred payment terms. The customer than sells the asset back to the bank on the spot, but at a lower price. In Malaysia, the deferred payment and mark-up mirror the prevailing interest rate set by KLIBOR, or the Kuala Lumpur Interbank Offered Rate. This is a daily reference rate based on the interest rates at which banks borrow funds from other banks and is similar to the federal funds rate in the United States. In Malaysia, the bai al inah contract was permitted because Shafi’i scholars contend that only Allah knows human intentions, thus no judgment can be made regarding the substance of the contract or what the funds were being used for. Furthermore, they judged the contract based only on its formal properties, finding it permissible because it involved two sales, no money lending, and, most importantly, no agreed interest payment. Nonetheless, in initially approving the contract, the shari‘a advisory committee for the nation’s Central Bank explicitly noted that it viewed the bai al inah as a temporary solution, to be replaced by more authentic contracts once Islamic finance in the country had matured beyond its initial phase. In contrast, in the Middle East, shari‘a scholars argued that bai al inah was impermissible because, although it fulfilled the formal requirements of a legitimate financial transaction, the objective of the contract was to replicate a loan. Thus, although on the surface it appeared shari‘a-compliant, a more critical view of its substance revealed that it was a legal trick (hiyal). Critics seeking to reform Islamic finance most often invoked a contract called a mudarabah as meeting the “true” spirit of Muslim economic principles and Islamic law. A mudarabah is a profit-sharing contract that was commonly used on the Arabian Peninsula even prior to the revelation of Islam and was a common economic arrangement in the classical Islamic world. A mudarabah is a contract between an entrepreneur (mudarib) and an investor in which the latter invests in a business venture and then is granted a pre-agreed percentage of the profits of the enterprise, while the entrepreneur provides only his or her skills, labor, and managerial expertise. These devices are investment based because the entrepreneur effectively sells an ownership share in the venture and the rights to a percentage of its profits to the investor. In a mudarabah the investor is responsible for all the financial risk in the deal, while the entrepreneur stakes only his or her time and labor. Today, Islamic finance is largely dominated by debt-based contracts, such as the bai al inah, which for the most part replicate interest-oriented structures of conventional finance. Critics and reformers argue that, in order to become a true alternative to conventional finance, they must deploy distinctive contractual forms, such as the mudarabah. They argue that these forms are inherently more stable, involve less leverage, and create steadier and more reliable economic growth, than contracts that essentially replicate the debt-based orientation of conventional finance. The future of Islamic finance, and perhaps our collective financial futures as well, depend on how this debate is ultimately resolved.